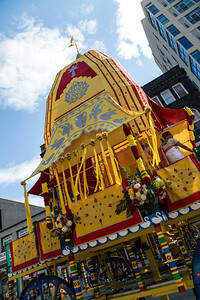 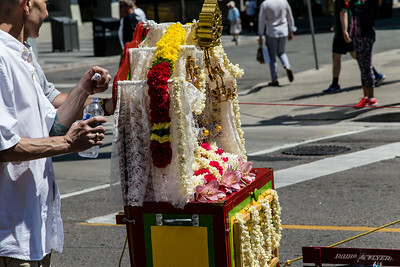 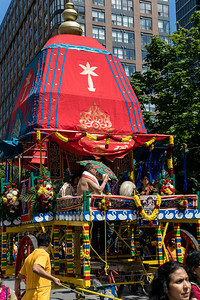 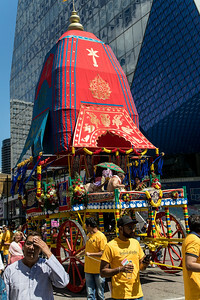 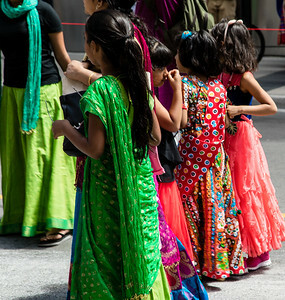 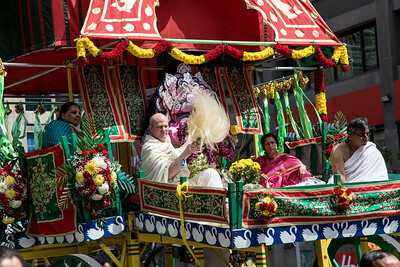 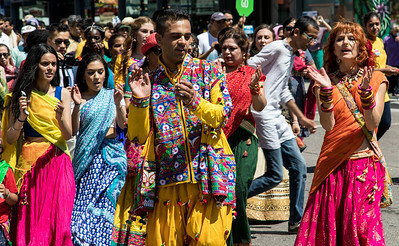 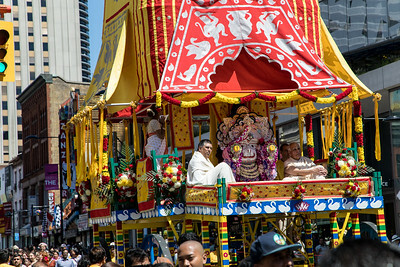 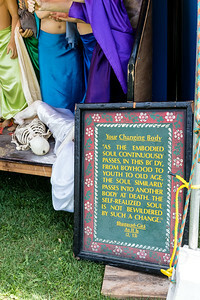 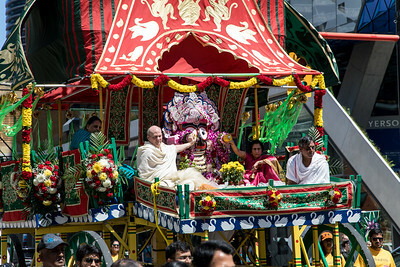 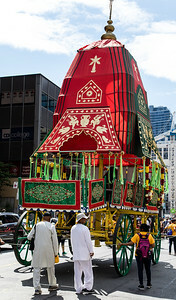 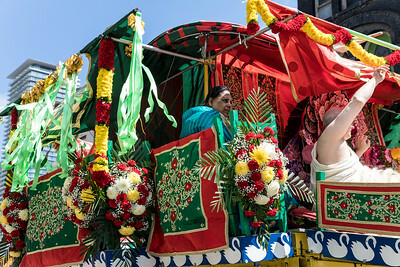 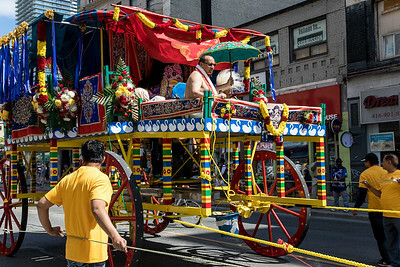 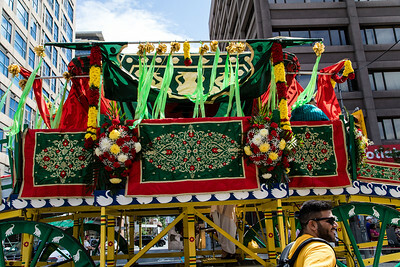 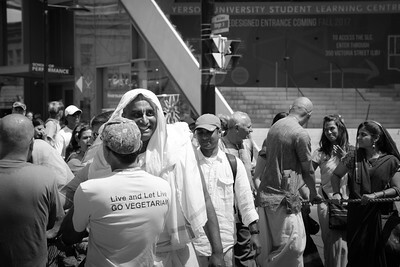 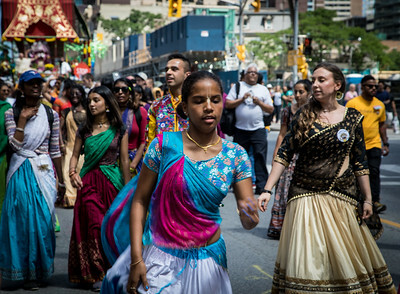 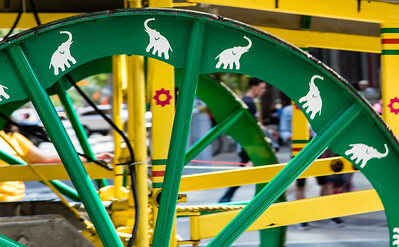 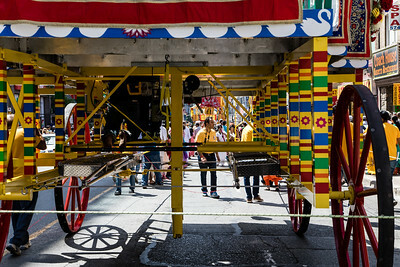 It was a great weekend for the 45th annual Festival of India (also known as Ratha-Yatra) in downtown Toronto. 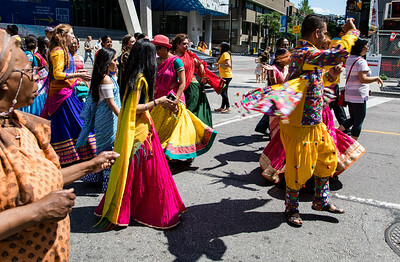 The bright sunshine and beautiful weather really enhanced the exuberant parade on Saturday. 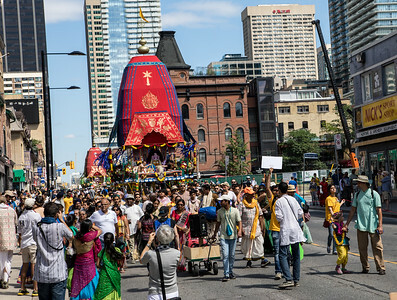 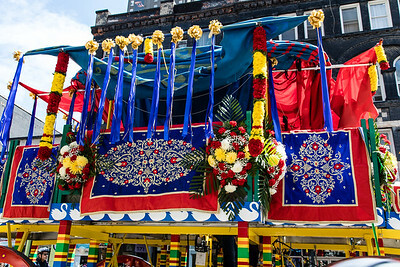 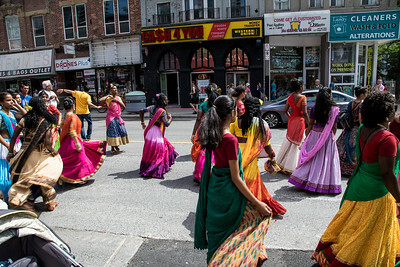 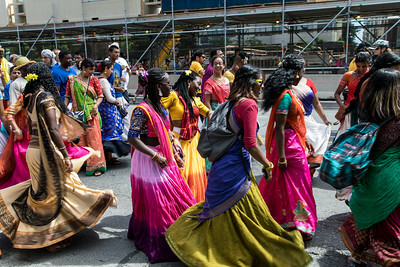 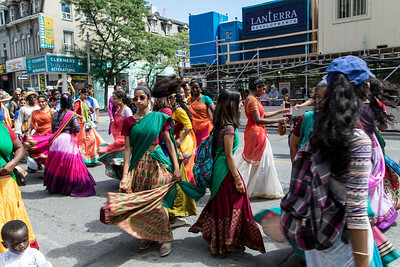 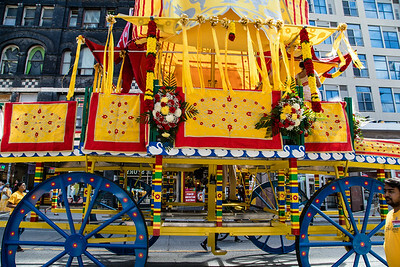 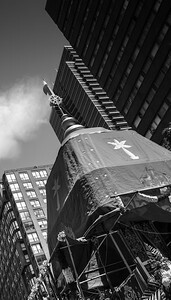 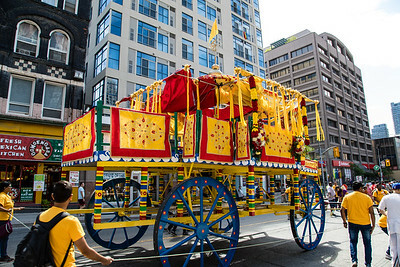 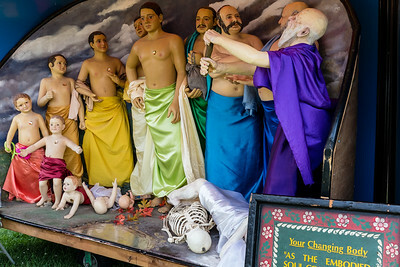 The three forty-foot chariots and the joyous participants - most singing, dancing, drumming and chanting the Hare Krisna mantra - made their way down Yonge Street, ending at the lake. 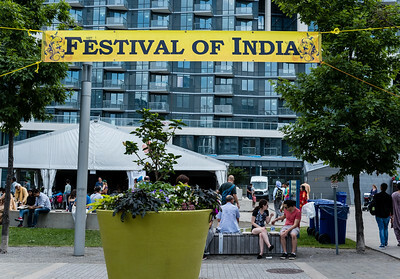 The festival celebrations continued at Sherbourne Common for the rest of this colourful weekend.